Bicycle Bites is a series of bike tours of international dumplings in Brooklyn. 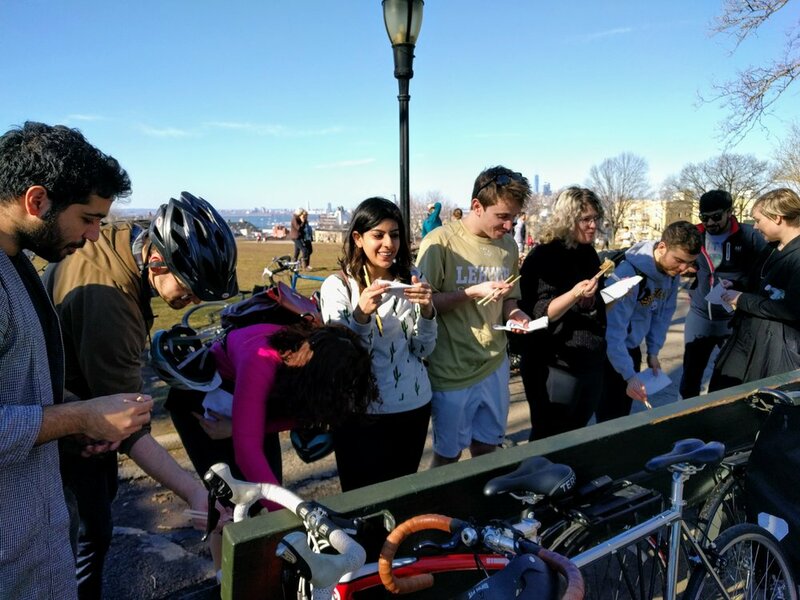 Led by local guides, riders explore the diversity of Brooklyn's neighborhoods by bicycle, while fueling their rides with delicious dumplings from local businesses. I launched Bicycle Bites on Kickstarter, where it was featured as a Project We Love, and fully-funded in three days. It surpassed its $1,000 goal by 75% during its two-week campaign. I had led this informal tour for friends in the past, but I knew that in order to attract Kickstarter backers, I would need to be more deliberate about the route, the stops, and the partnerships. I was lucky to have visited two of the dumpling shops in the past. Another was recommended by a friend, and the last I had found doing research for the tour. 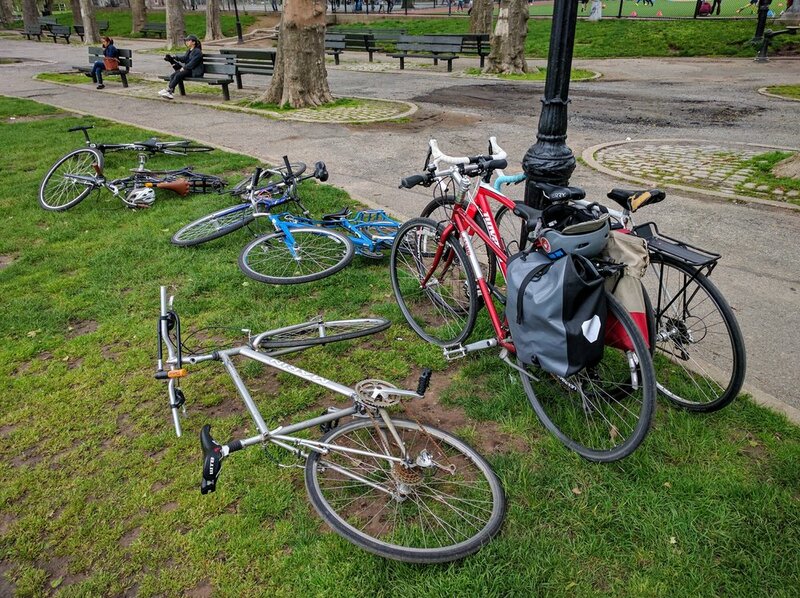 It was important to me to bring riders to some of the lesser known parts of Brooklyn, where much of the culture of immigrant communities has remained intact. These ethnic enclaves make it possible to find vareniki and pelmeni in Brighton Beach and dim sum in Sunset Park. 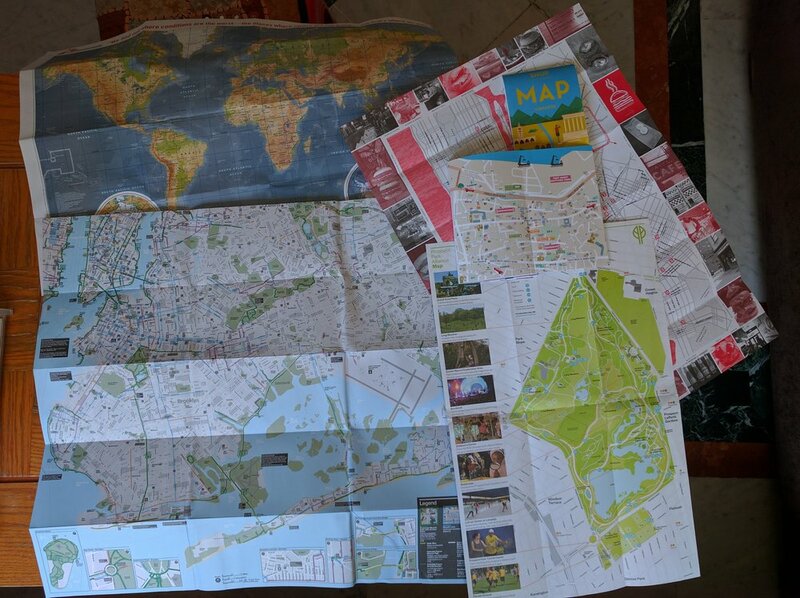 The most ambitious physical Kickstarter reward I offered was a printed map of my favorite bike routes and dumpling shops in Brooklyn. For the first prototype of the map, I used Google Maps to plot out routes and shops. This digital map was another reward offered to backers. 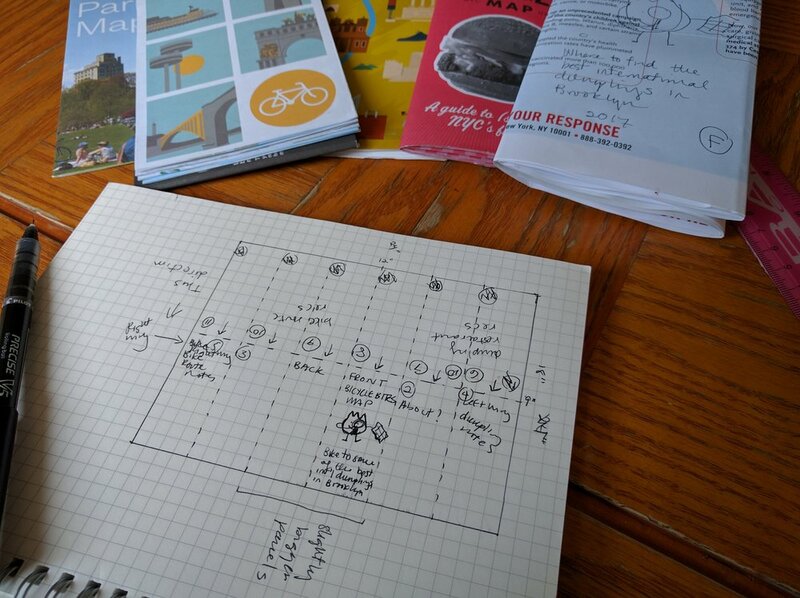 I then looked at other maps to get a feel for best practices and standards for printed, folded maps. I knew I couldn’t start designing until I knew what size my map would be. After reaching out to some printing companies and asking for quotes, I learned that anything bigger than 12" x 18" would require a large format printer, making the price soar. And so the size was determined. I started by trying different folding patterns for a 12" x 18" map. I found that folding it in half and then into thirds made it match the shape of other folded maps, and would be simpler to lay out. 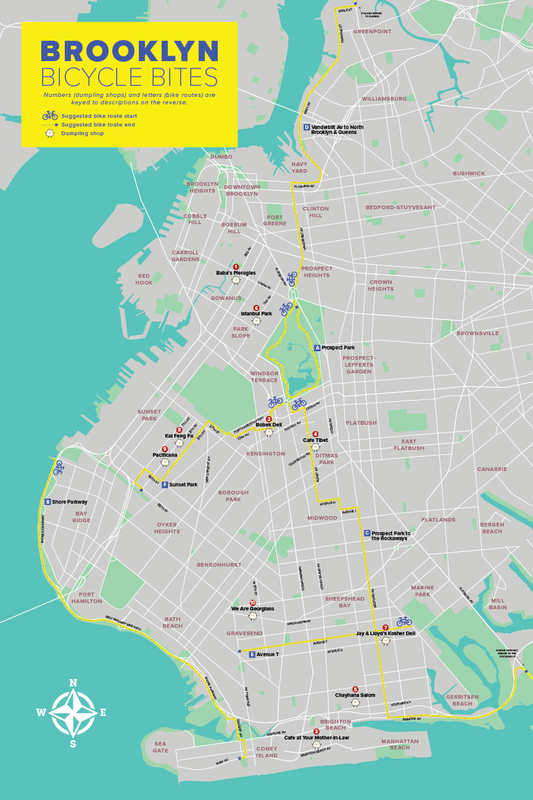 I used a plain vector map of Brooklyn’s streets as the base of the map side, and customized it in Adobe Illustrator. I generally followed the color palette of the Bicycle Bites stickers, which I had previously designed with the help of my friend, Janel Wong. Other elements I used from the stickers included the dumpling characters, which represent dumpling shops on the map. In addition to designing and laying out both sides of the map, I wrote all of its content. In total, 50 maps were printed, and shared with Kickstarter backers and tour participants in September 2017.